DF said "the lowest performance we have seen on X1X and PS4 Pro", it's a big slap on Koei Tecmo face. The mostly negative reception to Dynasty Warriors 9 is not something I expected. While I haven't been a fan of every single entry that Koei Tecmo has produced, the developer seemed to be getting better ever since the release of Dynasty Warriors 7. Then something happened and its games started to get really lazy. Sadly, it looks like 9 might take the cake for being the laziest game the studio was made thus far. Over on Digital Foundry, the team has delved into the performance profile for the game running on both versions of the PS4 and Xbox One and the results are, quite frankly, despicable. For a game coming out in 2018, there is no excuse for sub 20 FPS gameplay. This is like N64 levels of performance, just that we're in the future and should be making technological progress. Neither console turns in solid performance and you aren't even looking at anything close to 60 FPS (which was a series staple in the PS2 era). 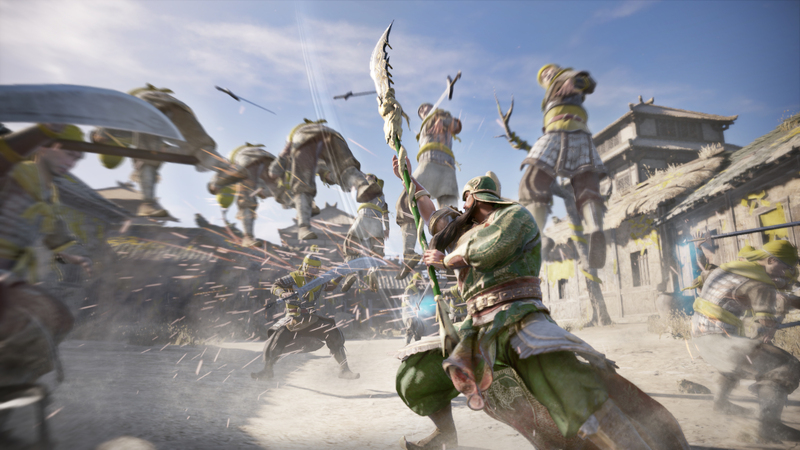 I understand that performance comes at the cost of gameplay innovation, but nothing about Dynasty Warriors 9 is innovative or even original. This is just another example of a developer chasing current gameplay trends to try and make a quick buck. That being said, if you were thinking about upgrading your console to get better performance out of the latest Dynasty Warriors, save your cash. Maybe some patches can fix these issues, but I honestly doubt that. The game is terrible. It looks like an asset flip, and it makes a mockery of everything that is a Dynasty warriors game. From a good but often misunderstood game, it went to total trash amateurish game. It's shocking how little KT devs knew of what makes a DW game good. Such a shame, because DW8 was really good. Am i'm glad i kept my copy of DW8XL. Can always play that. KT really messed it up with this one. They have no idea how to evolve their formula. But, all they have to do is make things bigger, but on the same format. Last edited by Nem; 02-19-2018 at 11:04 PM. It is an absolute atrocity. There is no excuse for this. Koei are more successful than they’ve ever been, and this is what they produce? Fans should be in an uproar. I feel scammed, quite frankly.